Let’s set the scene. You are doing your weekly shop, trying to be careful about your spending and you head to the reduced ailse to see what bargains you can grab. Once you have filtered though all of the stuff you would never eat, you notice a tray of reduced lemons and limes. You may use the odd slice but you will just be paying for the honour of throwing these away at home right? I will occasionally buy a couple of these citrus goodies if a recipe calls for it but otherwise, they are the kind of thing that you want in small doses, a wedge for a piece of fish, to spruce up a G&T or of course to add to your glass of water; buy a whole one for a couple of slices and it soon goes to waste in the fridge. 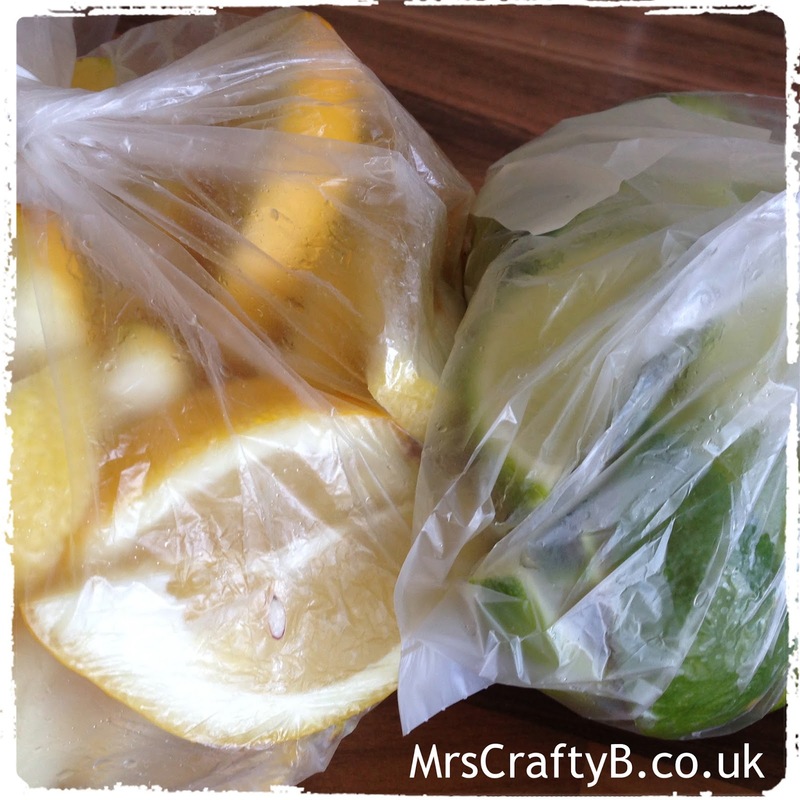 At the start of the summer, I found myself in scenario above, faced with a tray of lemons and limes for 5p each. Bargain yes and I love to use them but not for the sake of it. So I got creative. What the blinkin’ heck is the freezer for and why didn’t I think of it before? I snapped up some of those bad boys, sliced them all up, whacked them in some freezer bags and voila. 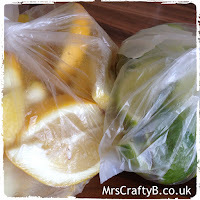 Frozen wedges of citrus fruits for a tiny fraction of the price of the pre prepared ones in the freezer ailse. 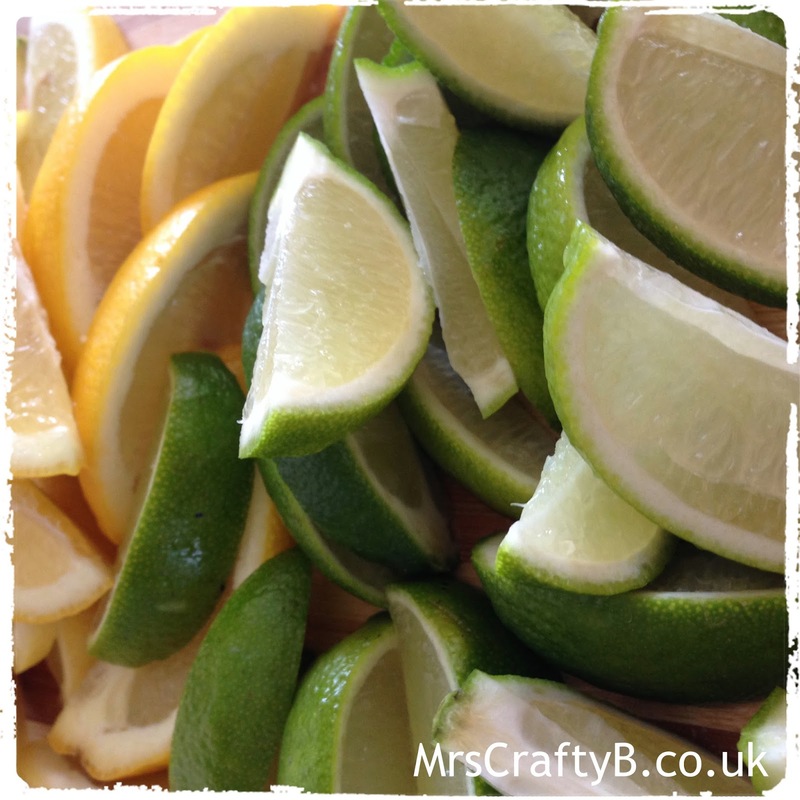 A frozen wedge of lime make a fab icy addition to my occasional G&T and I can just grab a couple of wedges of lemon out whilst I am cooking to squeeze over my fish or pasta dishes when they are ready to serve. In a time when shops are trying their best to make us think we need to buy things that we really don’t, do you have any tips for #smartshopping? Comment below or come and find me on any of the social media links below.